For the second consecutive time, Dumo Lulu-Briggs turned his speech into a form of Christian sermon. He did it in December 2017. He repeated it in December 2018. The chairman of the board of directors of Platform Petroleum, a Nigerian independent, preached about the goodness of the Lord at the Company’s end of year party, held in a swank venue on the edge of the Atlantic Ocean on Victoria Island, the hub of Nigerian commerce. Choosing two examples of creation of masterpieces of the arts, he explained that evil and good derive from the same sources. Two images of the same person were used to create the Jesus and the Judas in Leonardo da Vinci’s The Last Supper, Mr. Lulu-Briggs told his attentive audience, most of whom were staff, contractors, and employees of affiliates of the company. Likewise, he pointed out, the critically acclaimed praise song: Amazing Grace, was created by the captain of a slave ship, while transporting hordes of the human cargo. The end of year party was itself prefaced by a Thanksgiving Service at a Catholic Church. In his address, Osa Owieadolor, a career Petroleum Engineer who is Managing Director of the company, spoke enthusiastically of the Mid-Weekly Prayer Session, held at the headquarters every Wednesday. A high point of the parley was the enthusiastic response of the audience to saxophone performance by BJ Sax, a widely travelled, award winning musician, who belts out popular Christian Pentecostal praise songs on his alto saxophone. Everyone danced, of course. The Nigerian independent Eroton Exploration and Production Company Limited has successfully refinanced the facility it took from Guarantee Trust Bank to purchase the 45% of Oil Mining Lease (OML) 18 in the eastern Niger Delta. Eroton produces around 40,000BOPD from that asset, which it took over as operator in September 2015. The state hydrocarbon company NNPC is 55% Joint Venture partner. With a final repayment of $398Million, the RBL has been repaid in full and replaced by a new reserves based lending facility with Guarantee Trust Bank (the “GT Bank RBL”) for the same principal amount, with the following notable advantages to the operator of OML 18. The original RBL had a repayment date in mid-2021, while the GT Bank RBL has a late-2025 repayment date, consequently reducing quarterly repayments and freeing cashflow (in excess of $80Million per year until mid-2021) for further drilling and development. The debt service reserve account (DSRA) requirement under the GT Bank RBL is reduced to two future quarterly repayments which combined with the lower quarterly repayment amounts means that only approximately $50Million is required in the DSRA compared with more than $100 million previously. The refinanced interest rate is marginally higher at approximately 11% (versus 10% previously). TOTAL is working up the Preowei structure in the vicinity of the Egina Field, which is about fully coming on stream sometime this week. The Preowei accumulation, located north eastwards, was discovered in 2005. The aggressive French major began to talk up the possibility of producing Preowei in December 2017 when, after drilling Preowei-3, it reported an addition of approximately 80 to 100 Million barrels of oil (MMbo) to the full field contingent recoverable resources, bringing them to 140 to 200MMbo. The Preowei-3 well, drilled to a final depth of 3,235 meters, encountered approximately 50 metres net of high-quality oil-bearing sandstone reservoirs, in line with expectations. The well confirmed previous results from the Preowei-1B and Preowei-2 wells, which encountered approximately 55 metres of oil-bearing sandstone reservoir. The company is paying close attention to bottomline. 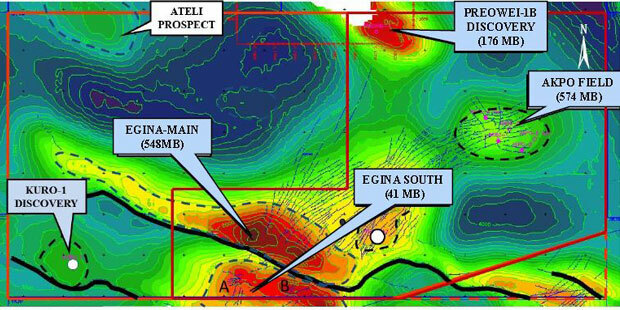 “Egina will significantly boost the Group’s production and cash flow from 2019 onwards, and benefit from our strong cost reduction efforts in Nigeria where we have reduced our operating costs by 40% over the last four years,” a company statement says. TOTAL expects to start up production from the Egina field, offshore Nigeria before the end of this week, most likely by January 3, 2019. The company’s second large deepwater oil project to be commissioned in Africa in the space of six months, the field will produce, at plateau, about 200,000 barrels of oil per day, a figure higher than 10% of Nigeria’s production. It is however scheduled to start around 170,000BOPD. TOTAL says that the Floating Production Storage and Offloading (FPSO) unit used to develop the field is the largest one it has ever built. This project has also involved a record level of local contractors. 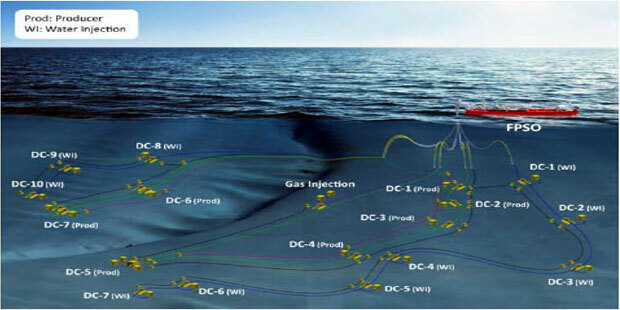 “Six of the eighteen modules on the FPSO were built and integrated locally, and 77% of hours spent on the project were worked locally”, TOTAL officials explain, adding that start-up has been achieved at a significant cost below the initial budget, “due in particular to excellent drilling performance where the drilling time per well has been reduced by 30%”. (15%), CNOOC Limited (45%) and Petrobras Oil and Gas BV (16%). There should be a faster tempo of upstream activity on the continent in 2019, if crude oil price stops heading downhill. We expect increased drilling (exploratory and infill), increased seismic coverage (exclusive and multi-client) and a significant upturn in field optimisation. The big new projects may not all start to happen as we have anticipated, but the creep that attended 2018 should turn to a mild rush. If there is one thing that 2018 taught us, here in the newsrooms of the 17 year old Africa Oil-Gas Report, it is that the price of crude oil doesn’t have the be-all and end-all effect on final investment decisions of major hydrocarbon projects in Africa. This time last year, we wrote that a $60-65 per barrel regime was good enough for a number of large projects, held up since the price crash of 2014, to reach financial close. The prices held firm, even did better than anticipated, yet the projects didn’t happen. Governments and other circumstances, more than anything else, cramp the syle. Government’s interest and preparedness affected the pace of two large projects in Nigeria; a large deepwater oil project as well as the largest LNG project on the continent. That said, let us turn the pages of the December 2018 edition of Africa Oil+Gas Report and look at a number of intended projects and activity. Our theme is Who is doing what and where in 2019: and it compiles short summaries of bid rounds, exploratory activity, field development work, and financial sanctions, all over, from Algeria to Zambia. The Africa Oil+Gas Report is the primer of the hydrocarbon industry on the continent. It is the market leader in local contextualizing of global developments and policy issues and is the go-to medium for decision makers, whether they be international corporations or local entrepreneurs, technical enterprises or financing institutions. Published by the Festac News Press Limited since November 2001, AOGR is a paid subscription based monthly, hardcopy and pdf publication delivered around the world. 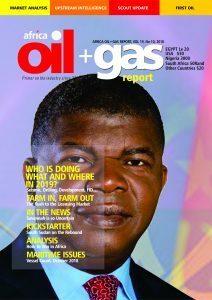 Its website remains www.africaoilgasreport.com and the contact email address is info@africaoilgasreport.com. Contact telephone numbers in our West African regional headquarters in Lagos are +2347062420127, +234803652979, +2348023902519. Cairn Energy hopes to do everything required on the SNE Field off Senegal, to reach first oil by 2022. The London listed explorer has commenced Front-End Engineering and Design (FEED) activities on the first phase of the field development, it has announced. 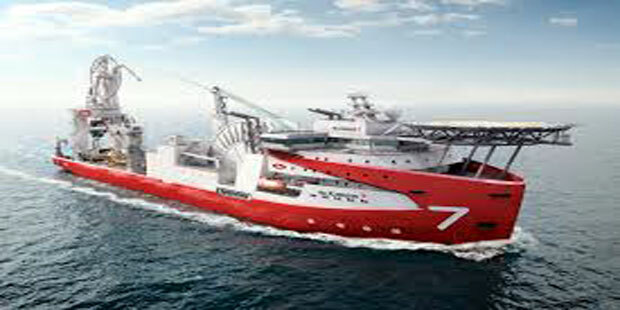 FEED will entail various studies and activities to finalise budget, schedule and technical definition for the SNE Field development aimed at the Joint Venture reaching a Final Investment Decision (FID) in mid-2019, Cairn tweeted. Phase 1 of the development will target an estimated 230Million barrels of oil resources from 11 producing wells, 10 water injectors and 2 gas injectors. This phase will primarily target the lower, less complex reservoirs. 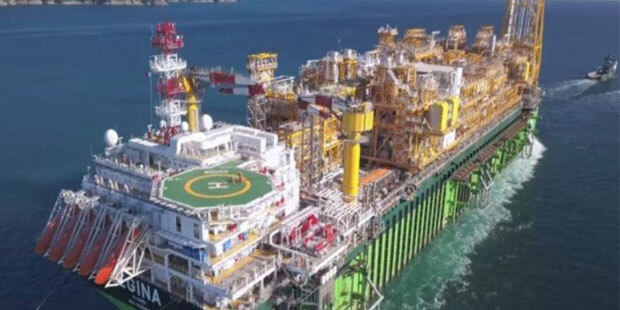 The FPSO is expected to have a capacity of around 90,000Barrels per day of liquids in Phase 1, with first oil production targeted in 2022. British engineering firm Aquaterra Energy has won the contract to install the platforms for the production of crude oil and gas from Madu and Anyala fields, in shallow water Nigeria. The contract was awarded by First E&P, operator of the Oil Mining Lease (OML) 83, in which Anyala lies and OML 85, which hosts Madu field. The Anyala and Madu field project scope will develop approximately 185Million barrels of oil and 637Billion cubic feet of gas reserves. 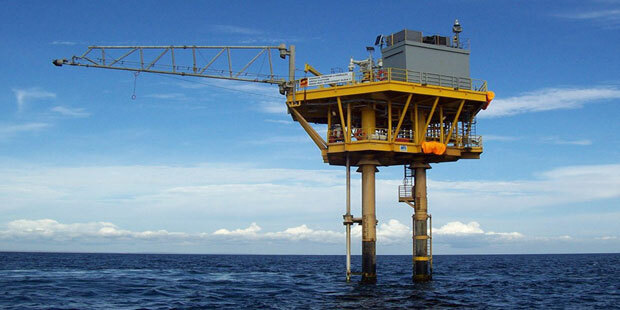 The contractor is expected to deploy the Seaswift offshore platform on the two sites. Aquaterra, which is headquartered in Norwhich, UK, will work on the project in conjunction with a local partner, Maerlin Nigeria Limited, a Nigerian owned oil and gas service firm. The companies will manage the end-to-end project scope with engineering and onsite fabrication support being performed in Nigeria. The work includes structural design, topsides engineering, equipment selection, procurement, fabrication management and logistics. Once complete, the platforms will be installed in water depths of 35m to 55m with first oil expected in late 2019. “With six Sea Swift platforms operational globally, including four offshore Africa, our team has the breadth of experience and technical know-how to solve client challenges like these in a safe, cost-effective and timely manner,” says Stewart Maxwell, the company’s Technical Director. The big, flagship African projects that we all thought were going to take Final Investment Decision in 2018, are still largely on the drawing board. 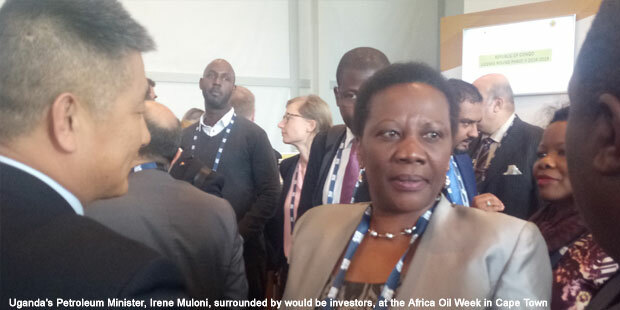 It is the last week of November 2018 and the much anticipated Ugandan basin wide oil development has not reached sanction and will not reach sanction in the next 30 days. That’s official. Neither are the Nigerian deepwater Bonga West Aparo and Zabazaba likely to get closure in the year. These are the big oil projects. In gas valorization, the Nigerian LNG is pushing to get its >$13Billion Train 7 project out of the long process of decision analysis and into sanction. The Fortuna LNG in Equatorial Guinea doesn’t look closer to construction. Investment decision on Mozambique’s first onshore LNG plant has been moved to next year. And the ANOH gas project in Nigeria is, for now, largely discussed in whispers. 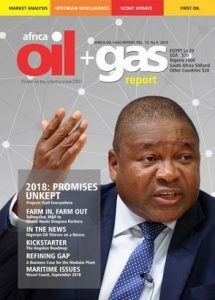 But the November 2018 edition of the Africa Oil+Gas Report, already in the hands of paying subscribers worldwide, is not entirely about flagship projects that have struggled to gain traction. This magazine’s drawing card is the several 200-300 word pieces of storytelling, which makes it the sunny continent’s most compelling monthly compilation of oil and gas market intelligence. The Africa Oil+Gas Report is the primer of the hydrocarbon industry. It is the market leader in local contextualizing of global developments and policy issues and is the go-to medium for decision makers, whether they be international corporations or local entrepreneurs, technical enterprises or financing institutions. Published by the Festac News Press Limited since November 2001, AOGR is a monthly publication, delivered to subscribers around the world. Its website remains www.africaoilgasreport.com and the contact email address is info@africaoilgasreport.com. Contact telephone numbers in our West African regional headquarters in Lagos are +2348028354297, +2349091009800, +2348036525979 and +2347062420127. Please click on this link to grab your copy.